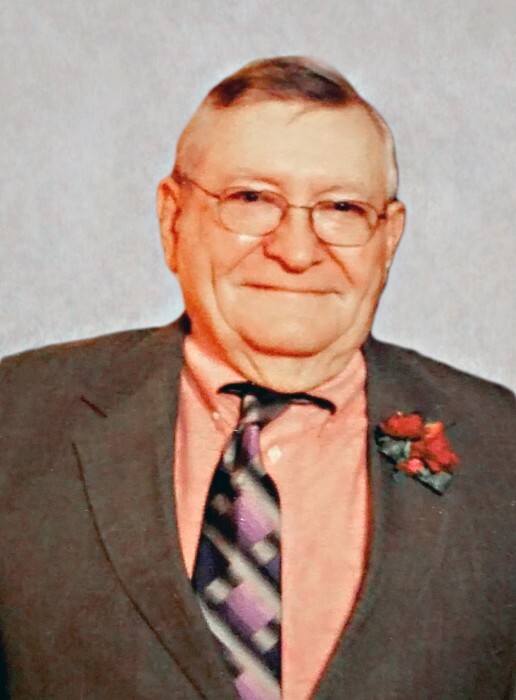 Obituary for Donald "Don" James Cink | Lanman Funeral Home, Inc.
On August 25, 1932 Donald J. Cink was born on the family farm to Jim and Jennie (Kaiser) Cink. He passed from this life on Friday, March 9, 2018 at the age of 85. In 1950, Don graduated from Medford High School. He was united in marriage on September 1, 1952 to his late wife, Donna M. Waldie. Don attended Oklahoma A&M in Stillwater, Oklahoma before being drafted in 1953 into the U.S. Army during the Korean War. After being honorably discharged from the military in 1955, he and Donna returned to Medford where they farmed and raised their three children: Kathy, Steve and Greg. In addition to farming Don spent time employed by Hills Funeral Home and Furniture Store and served as Grand Secretary of the Oklahoma York Rite Masons. He was a sixty year Master Mason with Masonic Lodge #108 in Medford. In addition to his involvement with the Masons, Don was actively involved in the community. He served as the president of the Rosemound Cemetery Association, the co-president of Medford Chamber of Commerce and even dressed as Santa Claus, bringing holiday cheer to local businesses. Don was an avid sports fan. He was a big supporter of Medford Football. As a member of both the 1947 and 1949 Medford High School state champion football teams himself, he loved getting to watch four of his grandsons play for his alma mater’s state championship team in 1999. In 2017, he was recognized by the Medford High School Alumni Association with the honor of serving as Grand Marshall in the homecoming parade. Don married Barbara Hart on August 11, 1991. Together they owned a travel agency and tour company where Don enjoyed driving the bus all across the country for both T.K. Tours and a semi-professional football team. Even after retirement, Don was always busy. He worked part time for the US Department of Agriculture and enjoyed keeping up with the lives of his twelve grandkids and twenty great-grandkids. Don was a member of both the Medford and Jefferson United Methodist Churches. Don is survived by his wife, Barbara Hart-Cink; one daughter, Kathy (Cink) Flaherty and husband, Tim; one son, Greg Cink; one daughter-in-law, Mindy (Hart) Cink, all of Medford; one sister, Dorothy Gile and husband, Merle of Las Vegas; twelve grandchildren, Shalon, Shane, Ryan, Tyler, Casey, Kristen, Ellen, Matthew, Alea, Michael, Hartley, and Jerred; and numerous great-grandchildren, friends and family. Don was preceded in death by his parents, Jennie and Jim Cink; his late wife, Donna Cink; one son, Steve Cink and an infant grandson, James Patrick Flaherty. Funeral service for Don was Tuesday, March 13, 2018 at 2:00 p.m. Medford United Methodist Church. Arrangements were by Lanman Funeral Home Inc. of Medford. Memorials may be given to Rosemound Cemetery or the American Cancer Society through the funeral home.